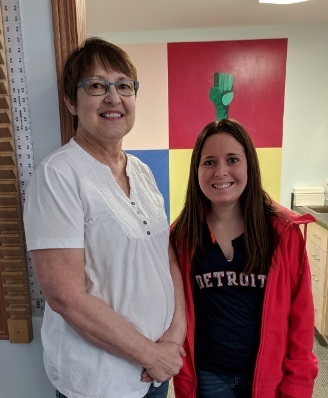 Our Bay City Patient of the Month is Sally Mindykowski! Sally was nominated by her occupational therapist, Megan Monroe. Sally attended occupational therapy for a left shoulder rotator cuff repair. Sally can now get dressed, put a coat on and take it off, sweep with a broom and able to knit without pain! Sally was nominated because she is very hard working and has a cheerful positive attitude. Sally stated, “My favorite part about Paramount is the friendly therapists”. Congratulations Sally! Keep up the good work.